Lol :) This is funny! 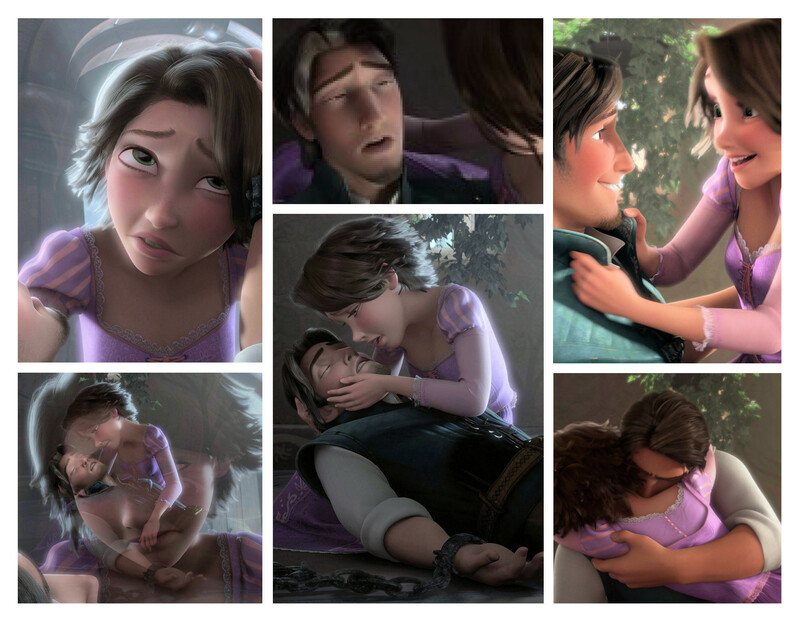 Flynn Rider: I didn't want to have to do this, but you leave me no choice. Here comes the smolder. 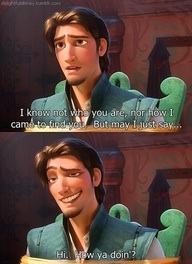 Flynn Rider: I know not who you are, nor how I came to find you, but may I just say... Hi. How ya doin'? This part is so sad, but I love it so much. Eugene: I don’t know not who you are nor how I came to find you but may I just say hi how you doing the names Flynn Rider so how’s your day so far huh. Gothel: "Yes, the wanted thief. I'm so proud." I LOVE LOVE ADORE THIS MOVIE!!!! BEST DISNEY FILM IN A LONG TIME!!!!!!! Hook Hand Man: "Go. Live your dream." Hook Hand Man: "Your dream stinks. I was talkin' to her." Mother Gothel: I'm just teasing! Stop taking everything so seriously. Flynn Rider: Fine! I'll take you to see the lanterns. Flynn Rider: [weakly] You broke my smolder. Flynn Rider: The hair actually glows. I felt like putting the whole movie script on here because I think all the lines from the movie are best XD I love it. Best quote of the movie. All right, listen! I didn't want to have to do this, but you leave me no choice. Here comes the smolder. Flynn:I can't help but notice your a little at war with yourself here. Flynn: They just cant get my nose right! Mother Gothel: I see a strong, confident, beautiful young lady. Oh look, you're here too. Rapunzel: something brought you here, Flynn Rider. Call it what you want. Fate. Destiny. Flynn: you were my new dream. Flynn: I didn't want to have to do this but you leave me no choice. Here comes the smolder. Flynn: (weakly) you broke my smolder. Flynn: well the thing about a reputation, it's all a man has. Mother Gothel: No, no, can't be. I distinctly remember your birthday was last year. Rapunzel: Well that's the thing about birthdays. They're kind of an annual thing. Eugene: You were my new dream. Eugene: Did I ever tell you I have a thing for brunettes? Flynn: uh....Im not freaking out are you freaking out? No,no, im just very interested in your hair and the magical qualities that it possesses. How long has it been doing that exactly? ( Flynn ) They just cant get my nose right! ( Flynn ) Does your mother deserve it?....No Would this break her heart and crush her soul? of course! ( Flynn ) Oh mama, i have to get me one of these! [Awakes to see Maximus staring back at him, dripping water] ( Flynn ) Well, I hope you're here to apologize. ( Flynn ) So! You're being strangely cryptic as you wrap your magic hair around my injured hand. Flynn: Oh... oh no... where is my satchel? "Its in that pot. isn't it?"